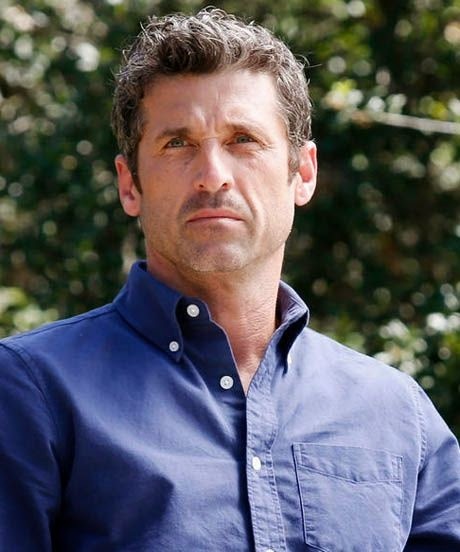 XOXO Jes - Canadian Entertainment News: Letter to...Shonda Rhimes, How dare you kill McDreamy! Letter to...Shonda Rhimes, How dare you kill McDreamy! Words cannot express the rage and sadness I feel, but I will try my best to let you know how you have ruined my life. * You've got some sort of ego thinking all of the fans of your show are not going to revolt after killing off our beloved McDreamy, Derek Shepherd. Second, do you actually think you have a storyline left that the long-time fans are really going to stick around for? I would list all the reasons why what you currently have is not appealing, but I don't want to bore the readers. I know you tried to set this up so Meredith could transition to life on her own. Derek was hardly in this season...and Meredith did fine. Hell, she was on a streak. Does this mean that she is going to die alone and be the best surgeon ever? Well that's boring. I'm glad Meredith doesn't need a man, but that doesn't mean that I don't need McDreamy. I hate that you killed him. I HATE that you faked the viewers out so many times in the episode, basically attempting to murder us by heart attack. I hate that Derek's hair looked the best ever on the day that he died. I hate that there were no cars on that road the entire day except for the 4 that got in two separate car accidents. I hate that that little girl saw her dad die and then saw Derek in the hospital. I hate that Derek knew where the doctors messed up and that he was going to die. I hate that the on-call surgeon took forever to get there. I hate that you played Chasing Cars while Meredith said goodbye AND when Denny died, forever labeling Snow Patrol as the band that kills love. I hate that Meredith didn't call anyone or have anyone else there with her when he died. I hate that we all knew it was coming and held onto hope until the very end. I hate you Shonda, I hate you. I am through with the trauma Shonda. Done. Over it. As far as I'm concerned tonight was the series finale of Grey's Anatomy. I'm sad it's over, but glad to get away from Seattle Grace. Rest in peace Derek. I MISS YOUR HAIR ALREADY. *And by life I mean night, I'm sure I'll get over it - just like I will get over you and your shows. Scandal has sucked this season too by the way, in case you were wanting to take my temperature on that show as well.